I looked back at the letter I wrote you this time last year, just out of interest. Even though that letter (written from a snowy landscape), painted a picture of relative inactivity, I did at least have potatoes chitting and the first seeds germinated. Alas, even though the weather has been mild (if a bit wet) I seem to be way behind this year. I do NOT have potatoes chitting (I’m waiting on my friend who’s ordered the seed potatoes this year) and I do NOT have seeds sprouting (I brought the propagators in yesterday along with the seed box for sorting through). I am looking forward to seed sowing though. Apart from some interesting perennials I bought at a National Trust Garden in the summer, I’m waiting on my selection of seeds from the RHS Seed scheme. These, with early vegetables (I planned out this year’s crops for the Kitchen Garden before Christmas) will give me a lot of seed sowing and seedling potting activity in the coming weeks…. 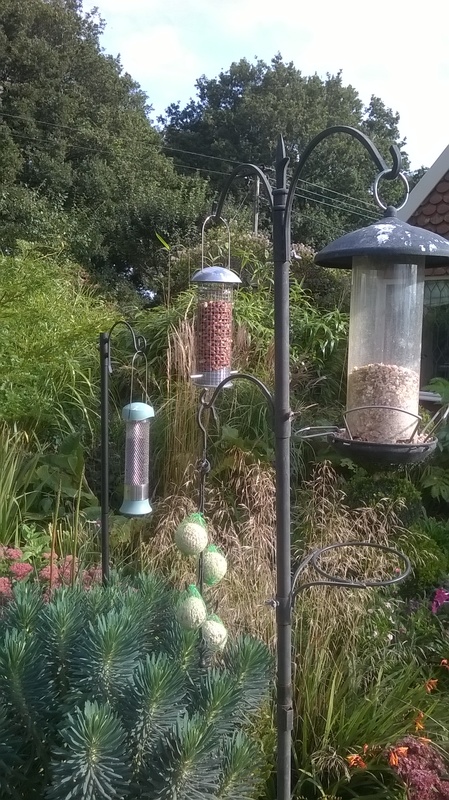 Apart from NOT doing the things I needed to, I HAVE done a few other garden related things. As you know, I’ve been constructing some cupboards in two alcoves in our entrance hall. I’m rather pleased with the result. I bought some solid oak cupboard doors and sourced some oak framing and tops from a local timber merchant (the smell of freshly cut oak in the car on the way home was delightful). These are now finished and being repopulated with photo albums, sewing machines and other stuff… and I’m pleased with the result, and not a little surprised at my own skill level (YouTube ‘How to’ videos are a wonderful invention). It is rather heavy, but certainly solid. I’ve used a selection of old canes, some willow plant support and an old bamboo window blind, cut to fit and jammed together. I’ll now need to finalise where to put it up. I gather it needs to be in a warm sunny spot at least a metre off the ground. I may try to fix this to the fruit fence in the Kitchen Garden; this is the place where effective pollination is especially important. ..and the vine in the courtyard. Oh, and I nearly forgot that I’ve tied in the summer raspberries – at last! I’ve pruned the apple trees and vine. I’ve also finally dug up the dahlias and apart from a little tuber rot, these seem to be OK, so they are currently drying off in the greenhouse and will be put into slightly damp, second hand compost shortly, to stay under cover until they are ready to plant out later in the season. I also dug up two Osteospermums and put these in pots inside, as I think they might be prone to dying off before the end of the winter if left outside. I’m pleased to say that my new Garden Design Course, ‘Get More From Your Garden’ looks like it will run as I have achieved the minimum number needed to make it viable, so I’m looking forward to meeting this new group of people and using the wonderful venue at Blickling Hall to explore and develop their own design projects. Deborah and I have followed your lead and joined our newly established, local U3A (‘University of the Third Age’) group in Aylsham. We went along to a fascinating talk about ‘PAT’ (Pets As Therapy) dogs yesterday, the ones used in schools to help shy children learn to read, as companions for older or disabled people and so on. 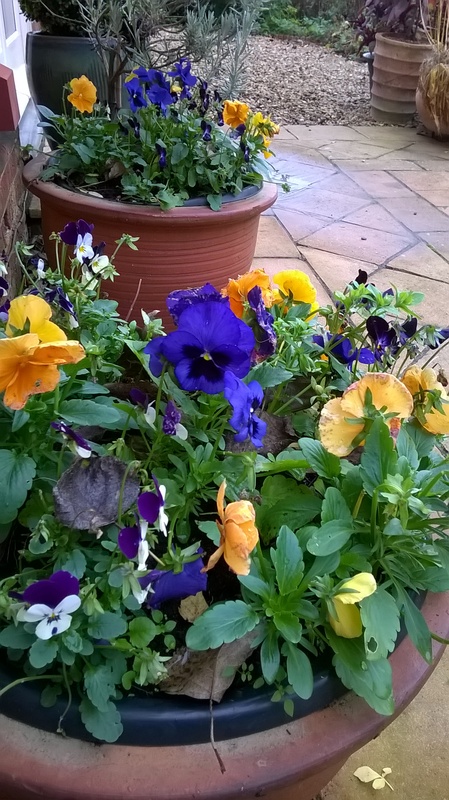 I’ve also joined a new gardening group and met the dozen or so other people in the group last week for an initial get together to discuss what we want to achieve. It looks like this could include visiting each other’s gardens to discuss problems and ideas, swapping plants, visiting open gardens etc. So, I look back. And whilst I’m behind in some garden-related things, hopefully there’s still time to catch up (especially with the seed sowing). I’m pleased to hear that your new terrace has been laid and look forward to seeing it when we visit you and Lise at Easter. No doubt you’ll be planting up the pockets you left amongst the paving soon? It was great seeing you and Lise over Christmas and we hope you had a wonderful time with your nearest and dearest. 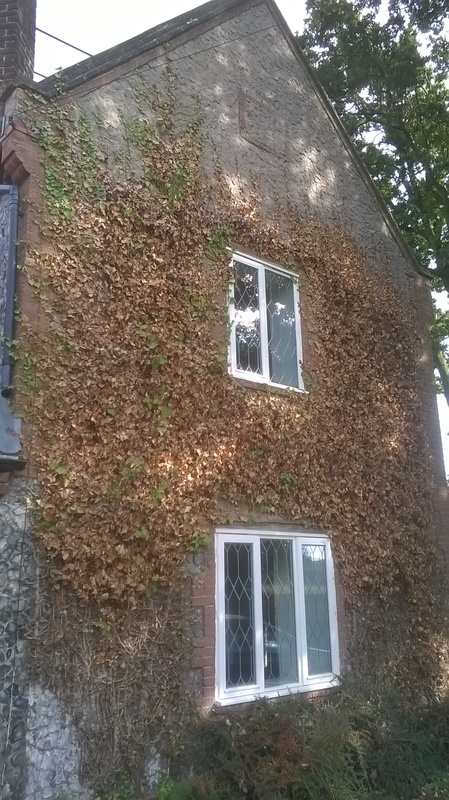 As you know, my time in the garden has been limited this month as I tried to finish off the major redecorating in one end of the Old School. I’m pleased to say that’s done and I’m now developing detailed plans to fit out a couple of rooms with some built in furniture. Alas, my plans for the outside are moving slowly, though there’s been a bit of progress I can report. We had a few hours cutting up the fire wood we’d saved from the major tree surgery on our Black Poplar a couple of years ago, and this is all now stacked in the woodshed. At the same time I reorganised the outside storage area (with pallets and angle irons), in anticipation of getting some new logs from our neighbours (who have some Ash trees that have fallen foul of Ash die back). I’ve built alongside (using more pallets of course!) a leaf mould bay, which in the summer will also serve as a good spot for the grass clippings. As you know, in the past I’ve deliberately mixed these two materials together and had some good organic material to add to the soil. Gathering up the final loads of leaves from around the garden has been the other major task this month, though there are a few stubborn oak leaves still to fall. This minor reorganisation in the rear garden area has started to tidy it up, and so I can get to grips with further spring planting in the area with a nice view to the church (where I plan to put another bench). 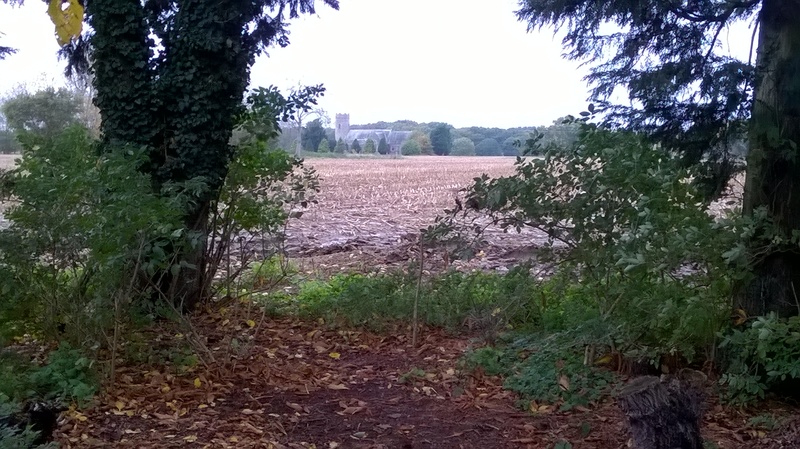 New possibilities- the view across fields to the church is crying out for a bit of organisation, including a new bench. I’ve also potted up the cannas (but not yet the dahlias as it’s been so mild here), and planted up the pots they were in with some violas and a range of tulips and other spring bulbs- we should have a great show next spring. I’ve cleared and planted up the front circular border with the rather ‘whippy’ selection of Wallflowers and Sweet Williams I sowed earlier in the year. I also took the opportunity of swapping over the centre piece shrub here; out came the Star Magnolia and in went another Magnolia (‘Merrill’), which will grow a bit larger than the one it’s replaced and so be a better counterbalance to the large magnolia we have on the other side of the drive. So the Star Magnolia is in a pot for now until I decide it’s final location, somewhere in the pond garden. Not much to look at right now, but the round border tidied and planted out with a new Magnolia and some spring colour- I hope! The table top planter- good early growth, but a bit of weeding required too! The kitchen garden is looking tidier, too, though without much of interest as you might expect. I’m pleased with the progress of the table top planter, though; the unseasonably mild weather has really got the shallots, garlic and broad beans well underway. 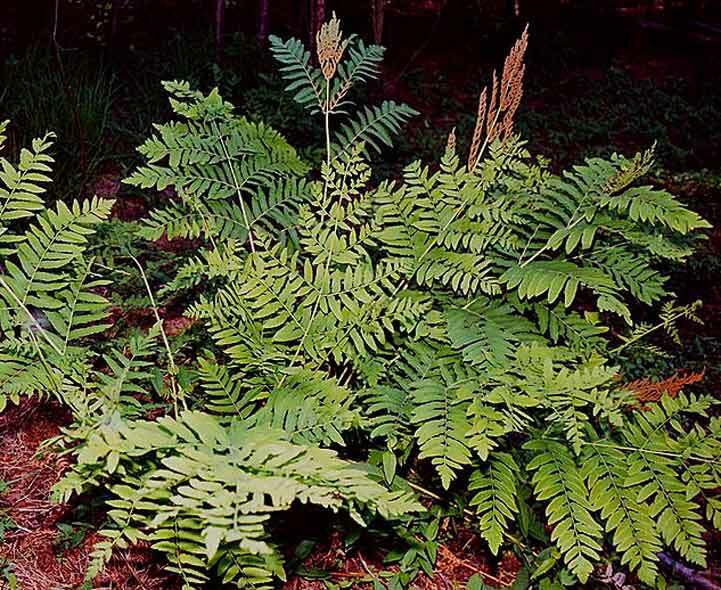 You know how in Autumn and early winter you can pick up some plant bargains (the ones that are past their best, but will nonetheless put on new growth if looked after)? 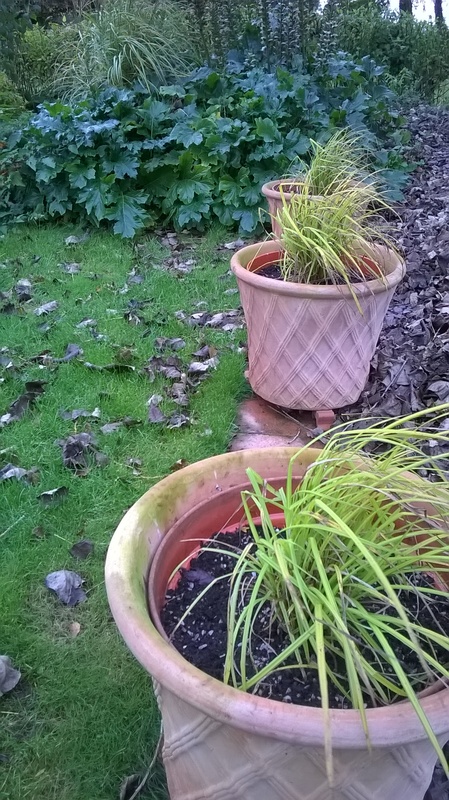 Well, I picked up a few trays of violas to fill my ever increasing containers and at the same time got three pots of Pennisetum, reduced to well below their original price- they don’t look much at present, but with a bit of spring care and potting on/ planting out, should do well. I spent a couple of sessions over at Gressenhall focusing on leaf clearing, cutting back and digging over some of the borders, so that will probably be my last time there for now. One of my jobs in the next couple of weeks will be to finalise the marketing material for my new Garden design course, which hopefully will begin in early February at Blickling. I’ll put details in a page on my blog early in the New Year for anyone interested. Well, as we come to the end of another year, I’m grateful that the garden here seems to have survived pretty well, despite less attention than normal; but the ground elder awaits and this and the other weeds will need attention in a couple of months time before the growing season really gets underway! Some of this year’s squash harvest- should keep us going for a few weeks. As we move towards winter, this month has been one of small steps forward, old friend. We had our first frost last week, and I managed to get the tenderest plants under cover in the greenhouse. I’ve noticed that the leaves on the Cannas have started to brown so it won’t be long until they and the Dahlias are also brought in. 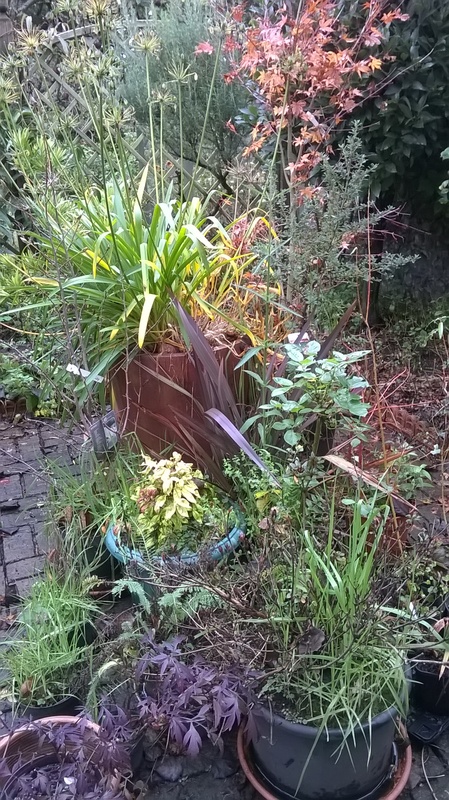 I won’t be cutting down or removing much else as I like to see the grasses and many herbaceous stems stand over winter- I think this is also good for wildlife. The piles of leaves continue to grow, and though many have fallen, there’s still a lot of oak to float down and then be gathered up. 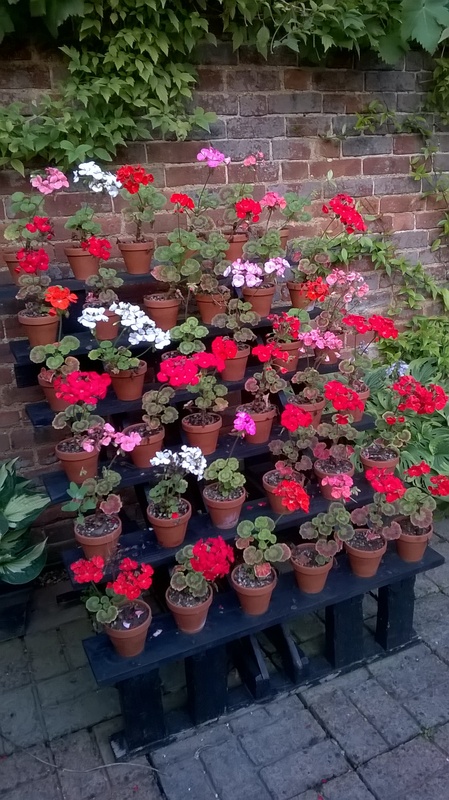 I’ve already cut back and placed most of the Pelargoniums into trays for over wintering and once the remaining pots on the terrace are empty, I’ll plant out the four or five packs of tulips I have in the shed. In the kitchen garden I’ve pulled the remaining carrots- they are a well-sized and tasty crop. The parsnips and a few leeks are all that remains for winter vegetables, with the promise of Purple Sprouting Broccoli to come in spring. As I reported last month, I’ve used my latest batch of compost to mulch the fruit bushes, strawberries and raspberries and added some manure over the rhubarb and asparagus bed, which hopefully might give us a few spears next year. I dug up one of the remaining two blackcurrant bushes the other day and took this in to the local Primary School, where I was helped by 7 pupils to divide it and plant it out in their developing fruit garden. It was fun to be back among some familiar (if older) faces and they were very responsive and involved in the hour we spent talking about roots, stems, water and so on. Awaiitng a Redcurrant, to go alongside White and Black! So, here we’re left with one large blackcurrant bush (after having three for several years – the freezer is still bulging with the last few year’s crops). I’m now waiting on the arrival of some bare root red currant and raspberry canes at the local nursery, so that I can fill out the summer fruiting raspberries and replace the blackcurrant, which will give us one each of Red, White and Black currants. Looking ahead, my friend Steve volunteered to order me some seed potatoes, so I’ve gone for some first and second earlies which should be here for ‘chitting’ in January. I also recently ordered some seeds from the RHS scheme for members, which is good value for money. With the seeds I purchased on my visit to Wallington Gardens in September (as well as some harvesting at other gardens we’ve visited), I can see that February will be a busy time (as usual), propagating a new range of interesting flowers for the borders; including one ‘long wanted’ variety, Cephalaria gigantea. My Pond garden project is moving ahead slowly, with the reclamation of some large York stone flags from one of our outside sheds (we’ve had a new concrete floor put in here to replace the stones) and the use of the stony soil from under these to build up the surrounds of the pond area. Before going much further outside on this I want to firm up my design on paper, so the drawing board is out again and I’m sketching out some ideas, including a stepping stone bridge (this is what some of the flagstones will be used for), boggy borders and a ‘beach’. My collection of plants for this area is growing nicely so I’m factoring these into the design too. Onions sets starting to go..
Oops! These Red Delicious apples fell before they could be harvested…I’ve not been diligent enough this year! On a broader front, I went over to Gressenhall the other day and began to clear up for winter (including some overdue shearing of the lavender and leaf clearing) and planted out some Catmint I took out of the courtyard planters at Old School Garden. Together with the new plants I purchased recently these will make a good show in a number of half barrel planters we have there. You’ll have also seen something of my regular visits to Blickling Hall, where the winter clear up and preparation for next season is well underway. 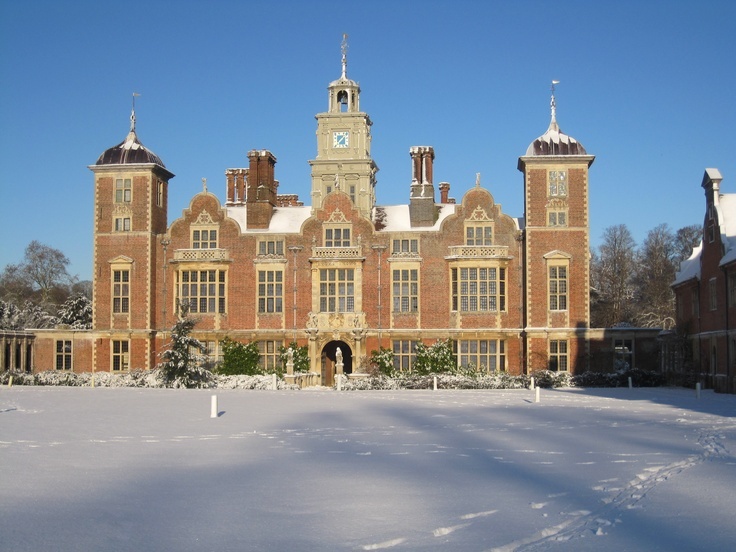 Did I tell you that I’m hoping to run a new Garden Design course at Blickling? 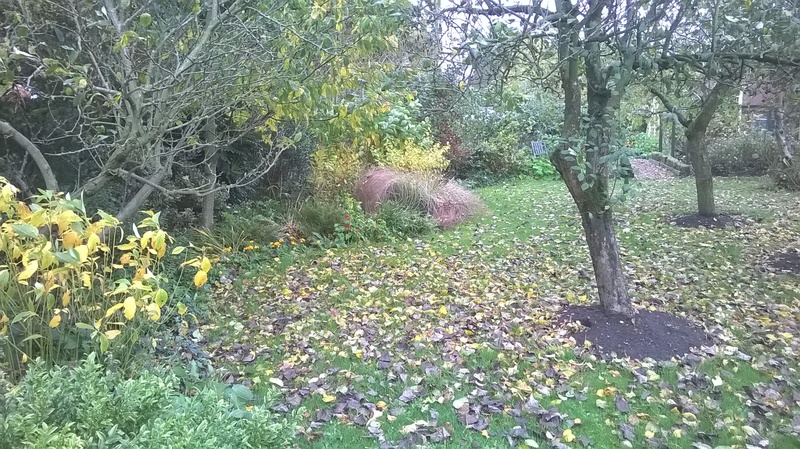 Based on the one I’ve run in the past at Reepham, it will be slightly extended but will still focus on helping participants to design their own garden or area. I hope for a good level of interest, especially as we shall be able to use the gardens at Blickling as a showcase for many of the ideas and concepts I’ll be covering. If I get the numbers I need this will begin in early February. Having just replaced the broken glass in our wood burner I think its time to light it and get something to drink! Ticking over. 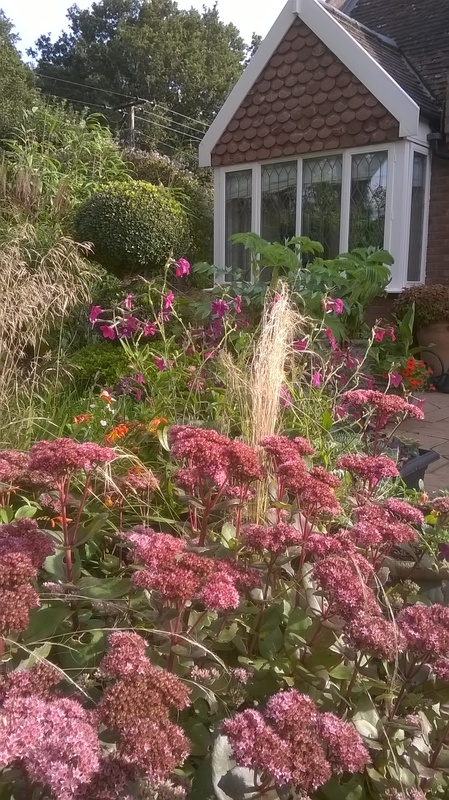 Or rather, ‘just about coping’ in Old School Garden, this month. In fact I’ve just spent 11 hours wallpapering our stairwell as part of our (it seems, never ending) decorations, and just dashed outside to take some pictures so that you can see how the garden is looking. It was quite a surprise as I haven’t been out there seriously for a good while. Still, things don’t look too bad, proving that nature can take good care of herself! (I did pull up a few large weeds, though). The harvest continues with good crops of potatoes (I will dig up the second row of Charlottes over the weekend); strawberries; raspberries (though the Autumn Bliss seem, once again, to have put on no flowers towards the back of the row); courgettes; calabrese; onions; and our first squashes (New England Sugar Pie- just hardening them off). And the greenhouse tomatoes, cucumbers and peppers are doing splendidly I’m mightily impressed with my new aquaponic growing system for the tomatoes which seem bigger and more plentiful than I’ve ever had them. I’ve sown some carrots and parsnips recently and these seem to have germinated and now require a weed. Also, the apples and pears on my ‘super columns’ are really plentiful. I’ve also managed to summer prune my trained fruit bushes and planted out and netted some cauliflowers and purple sprouting broccoli. 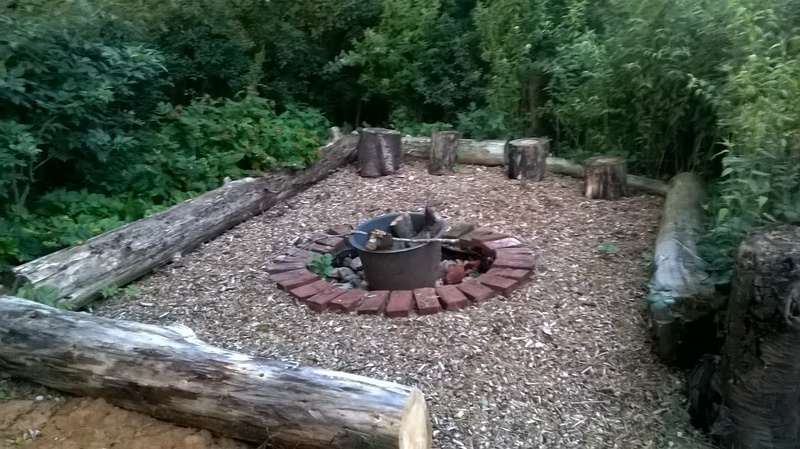 Though it’s been quiet in general in the garden, I have managed to do a bit of tidying up- especially resurrecting our fire pit. Though we’re away a good deal in the next couple of months, perhaps we’ll get round to using it before autumn sets in. 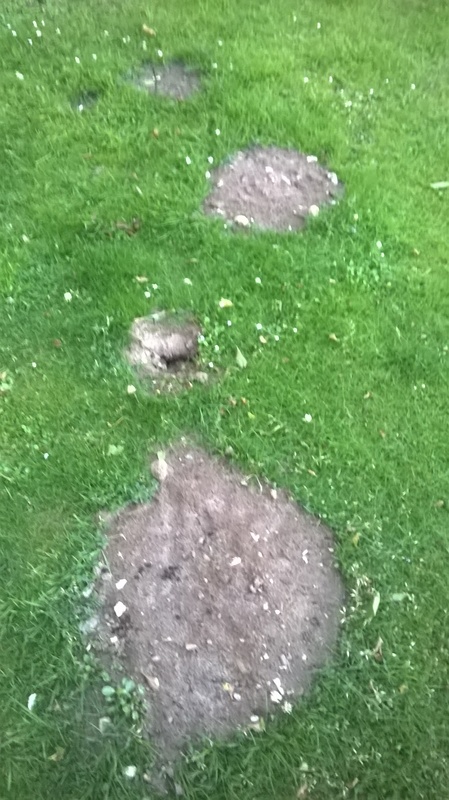 About this time last year (and for some time before that), I was complaining about moles in the garden, especially how they wreck the lawn. Well, as I hinted recently, I bit the bullet and got a pest controller in. He set around 10 traps and caught just two moles (the body of one, complete with trap was taken away in the night, probably by a fox). Though I feel a tad guilty about killing these little earth movers, it would appear, for now, that mole activity has ceased, so I shall be raking off the remains of the mole hills and cutting the grass in the next couple of days, hoping that we’ve seen the end of the damage; at least for the rest of the season. The last of mole hills? Well, old mate, sorry that there’s not much new to tell you, but you know its been full on with the decorating in the last few months, so the garden has taken a back seat. A short letter this month, I’m afraid. I’m sitting here, having just got access to the computer amid builders’ mayhem, with dust everywhere… and I’ve just been interrupted to see to a pigeon in the fruit cage! It certainly is all go. 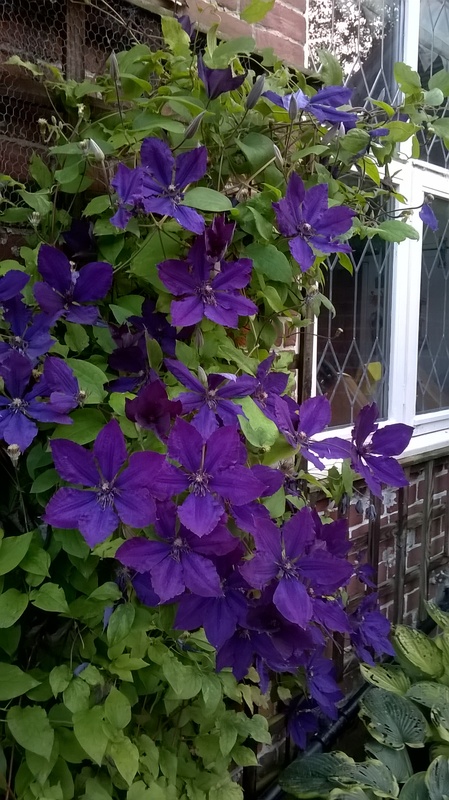 I thought I’d write little and let my pictures speak for my gardening activity this month, if that’s OK? First, we’ve been down to Devon a few times and thankfully completed my Mother-in- Law’s move to her new flat. A bonus was some rather nice pots she kindly gave me as well as a few cuttings of some interesting plants…one of the pots is a ‘Pig Salter’, I gather it was used to salt raw pig meat; it looks handsome with its bright yellow bamboo. At home, Old School Garden is also looking rather good, I think. And the harvest has begun too; Broad Beans, First Early Potatoes, Strawberries, Raspberries, Gooseberries and this week the heads of Calabrese are looking just about ready for picking. I’m also encouraged by the new system I’m using for growing tomatoes- ‘Quadgrow’. This is a system of watering via a reservoir under the pots with a wick up into each pot. You add water and feed to the reservoir and away they go- and they are looking healthy, vigourous and are producing lots of fruit, though to date I’ve just had one ripe tomato. All the best old fellah..remember to keep cool in the promised heat wave this week! A month of ‘not much’ I’m afraid! I’ve started to clear the pile of bonfire cinders, ash and other ‘soil’ to make way for the new pond, hard graft spreading the soil around the borders (especially around the fruit bushes), but I’m starting to make an impact. I was also pleased to accept my neighbour’s offer of some large flints (removed from a raised bed wall they have altered). Flints courtesy of the neighbours, these will be useful in the new pond. I’ve bought in a few bags of good manure and started putting this around the fruit, so hopefully, if everything works (especially the weather and pollination), we should have a good harvest. 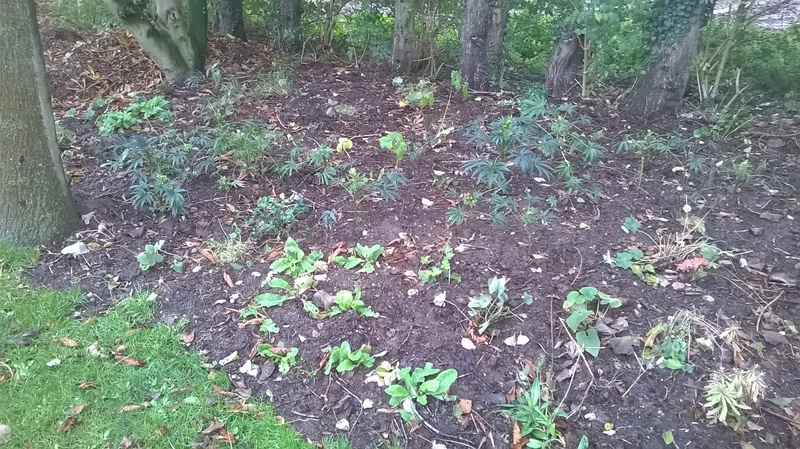 The general tidying up that’s a typical task at this time of year has continued; raking leaves and other litter off of the borders, weeding and tickling over the soil surface. This was especially rewarding this week, as I came across a flash of metal whilst turning over the herb bed; yes, to my (and Deborah’s) delight it was my wedding ring, lost about 18 months ago! It just shows you that I didn’t get round to dealing with this area last year! I’ve also commenced the pruning of various shrubs and grasses, including fixing some support wires for climbing roses. It’s always great to see the new growth buds appearing. 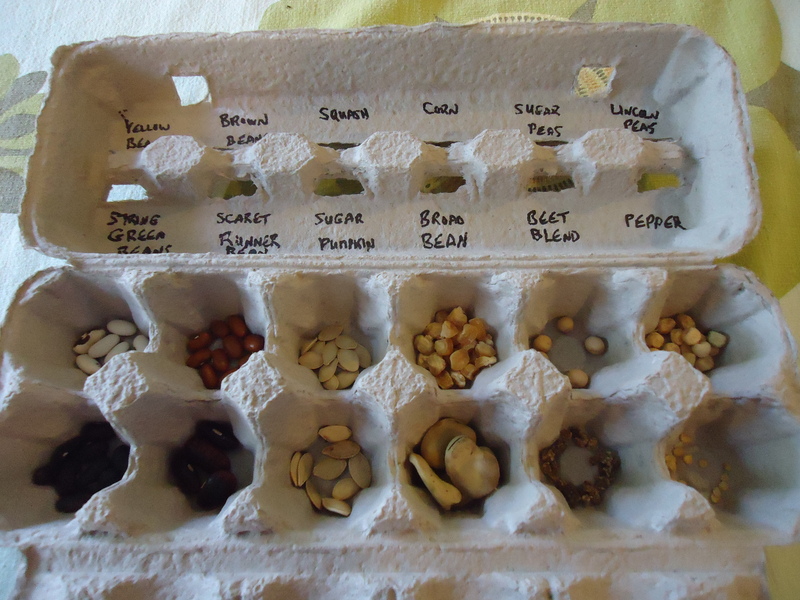 Seed sowing has continued, and I had delivery of an interesting selection from the RHS Members’ seed scheme, so some have gone into the fridge for some ‘stratification’ (a period of cold to help break dormancy). Unfortunately I was a little too eager to move my cucumber seedlings on, and once in the greenhouse they suffered ‘damping off’ and had to be dumped- a new set awaits sowing. Elsewhere, I’m on a two week break from gardening at Blickling Hall, but it seems that the walled garden is coming on well; manure has been dug in and the delivery of path edging and the refurbished greenhouse is awaited. I popped over to Gressenhall earlier in the week, too, not for gardening, but to commence a new ‘creative writing’ course- hopefully it’ll improve my blog (and letter) writing skills! The gardens there looked pretty good, but I shall combine my future course sessions with some gardening to get the gardens ready for the Museum opening in early March. Deborah and I visited Prague last week for three days, and whilst there wasn’t much of gardening interest, it was an amazing experience; one that touched many emotions and which involved 24 miles of walking over two days! I’ll post soem pictures from this trip in a day or two. 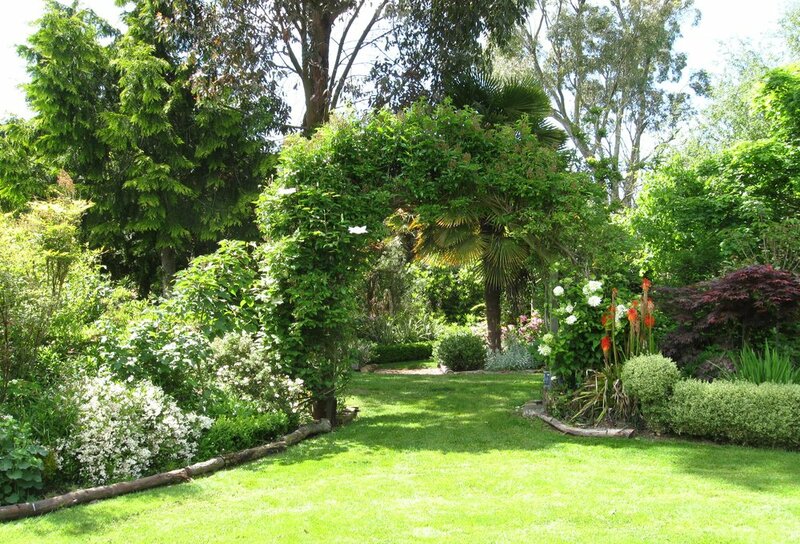 We’re also contemplating some alterations to the house, including some energy conservation measures, so it may be that the garden will be rather more neglected than usual. I hope that you and Lise are keeping well as the winter slips away and spring is approaching.